Providence Newberg Medical Center celebrated the groundbreaking on its ambitious expansion project on Friday. Participants armed with ceremonial shovels were the first to turn over dirt on the first phase of constructing the 60,000 square foot, three-story medical center with a construction cost of $46.7 million. The facility is expected to open in winter 2019. "We expect approximately 7,000 additional patients and we just hired three new primary care providers with room for 5,000 patients. So all together we expect to have 12,000 new patients," Providence spokesman Mike Antrim said in an email. "This represents the clinic only, we'll see more patients in cardiac rehab and additional volume in ancillary services such as lab and diagnostic imaging. "For the medical clinic, we will add five additional providers, two additional RNs and 12 additional staff, so we will be adding approximately 20 more people." 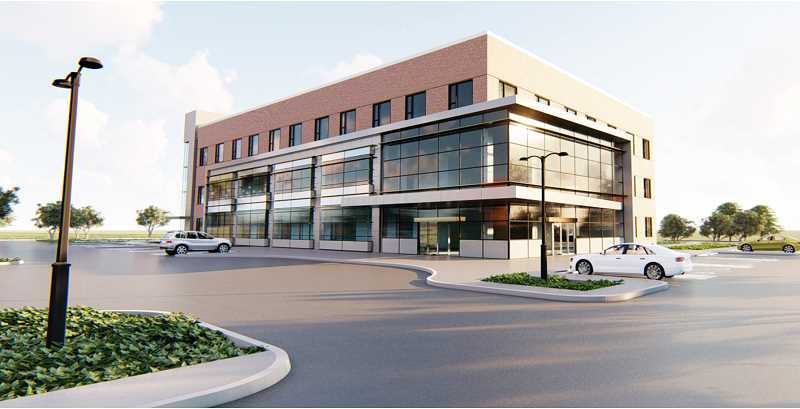 PNMC will focus on outpatient services for about 90 percent of the building; the medical center averages about 225,000 annual visits and the need is expected to increase. With the expansion, they can have rooms ready for new physicians as the need arise. "We will double our cancer center capacity and triple our infusion center capacity, as well as bring in new services that provide holistic cancer care," Antrim said. "We will be increasing capacity for primary care (family and internal medicine) and adding cardiac rehab and that will be a new service for our community." Providence also plans to add three more operating rooms for outpatient surgery in the orthopedic, gynecological and eye surgery departments. "Our foundation is also actively raising money for the project and so far is well over the halfway point of the $1 million goal," Antrim said. "Heart of Gold … helps raise money for the building project and the Mike Olberding Education Fund for continuing education of medical caregivers."